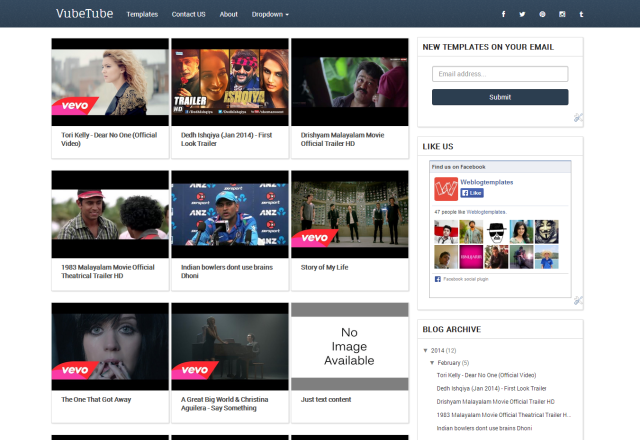 Vubetube is a free blogger template for video bloggers. It is not just limited to video bloggers, it is perfect for those who like to share videos in their blog. This blogger template will automatically generate video thumbnails from YouTube videos and DailyMotion videos. If you are just sharing videos from these sites vubetube video blogger template is the perfect choice for your blogger powered blog.